King Salmon Guides is proud to present you with the Alaskan hunting opportunity of a lifetime. Whether you're a seasoned hunter or just a beginner, we can help make your hunt in Alaska unforgettable. We offer unguided Caribou and Moose hunts, and an unguided Moose hunting float trip down the Alagnak River. 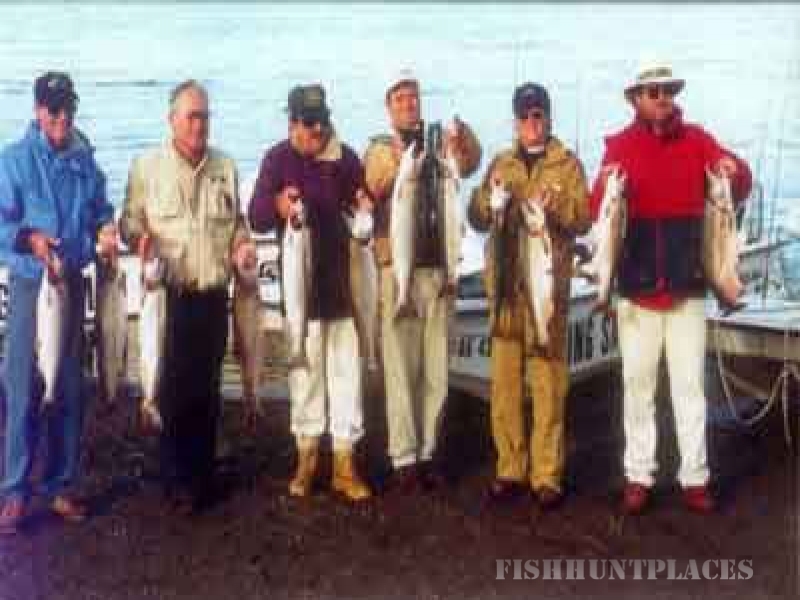 The Bristol Bay area provides hunters of all skill levels with the challenge of a lifetime. With the Alaskan Peninsula's reputation for trophy genetics, and our knowledgeable, experienced guides, there is no better opportunity to bag that trophy Caribou or Moose. In addition to fantastic big game hunting, the Bristol Bay area is known for its world class fishing. We strongly encourage everyone to leave a few days open for our guided fishing expeditions. Whether it's Alaskan King Salmon, Silver Salmon, or trophy Rainbow Trout you're after, you'll most certainly be in for an exciting adventure.